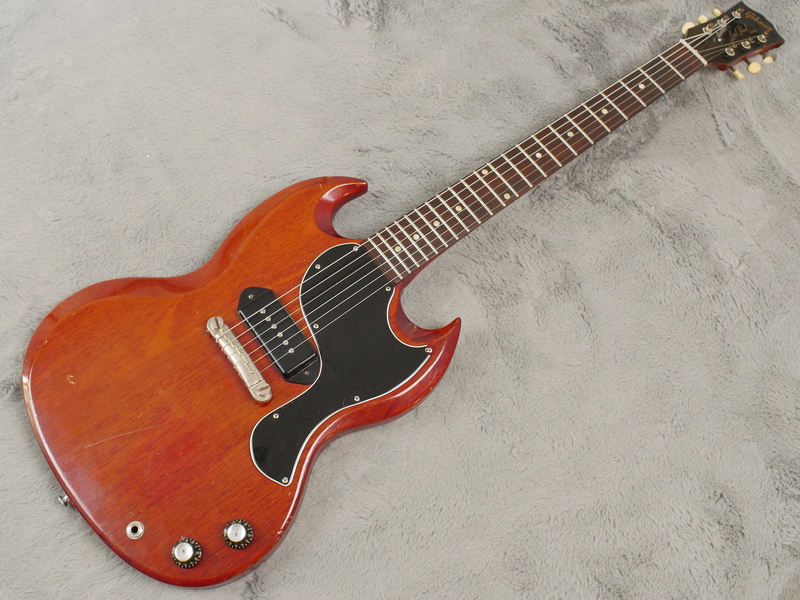 Lovely, 1963 Gibson Les Paul SG shape Junior that is all correct and in very good condition with just enough playing wear to make it feel and look pretty cool. 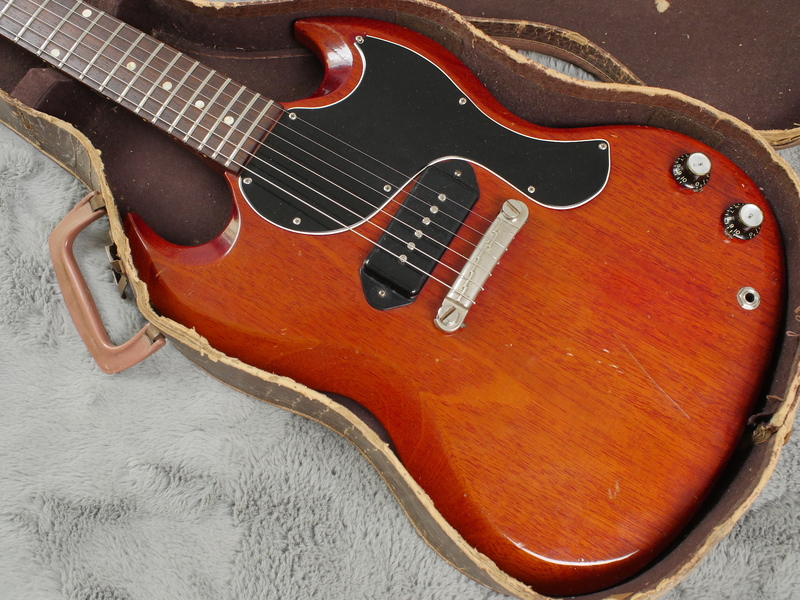 Not a museum piece but at a weight of just 2.41 Kg (no that is not a misprint!) 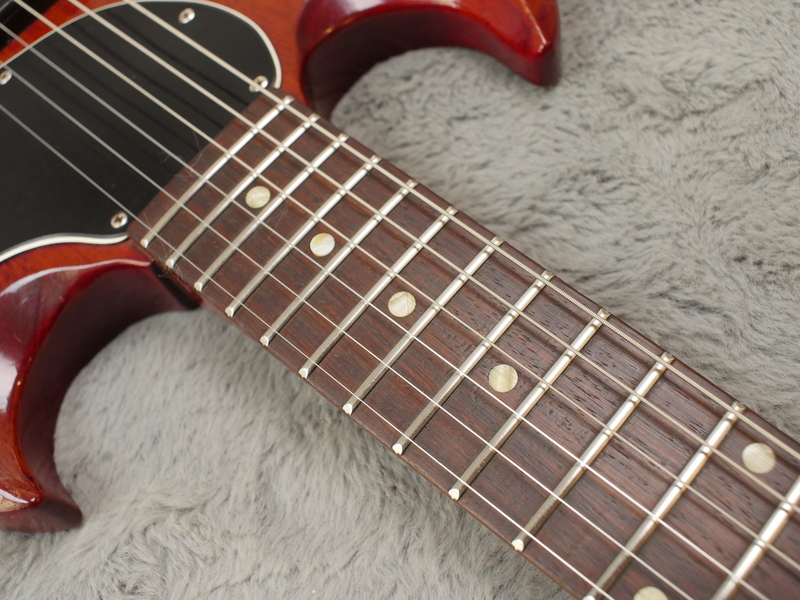 it is something anyone can easily enjoy playing all night long. 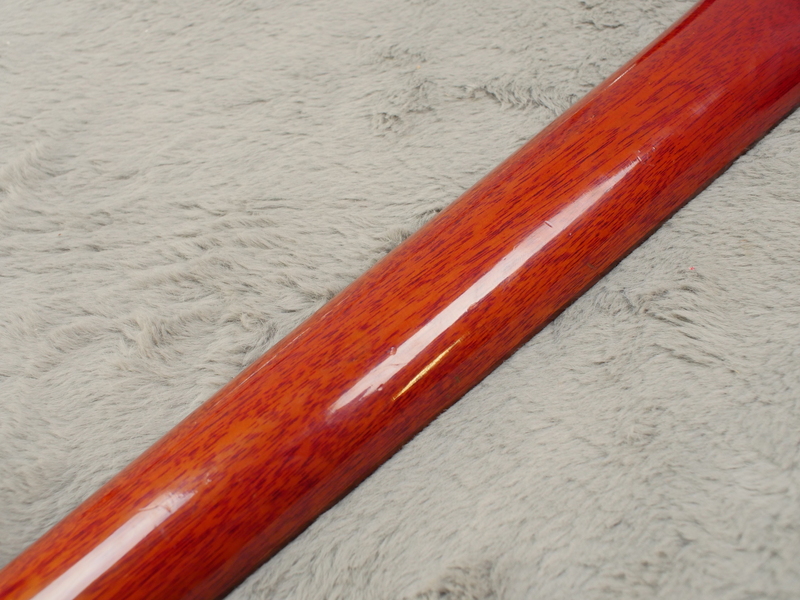 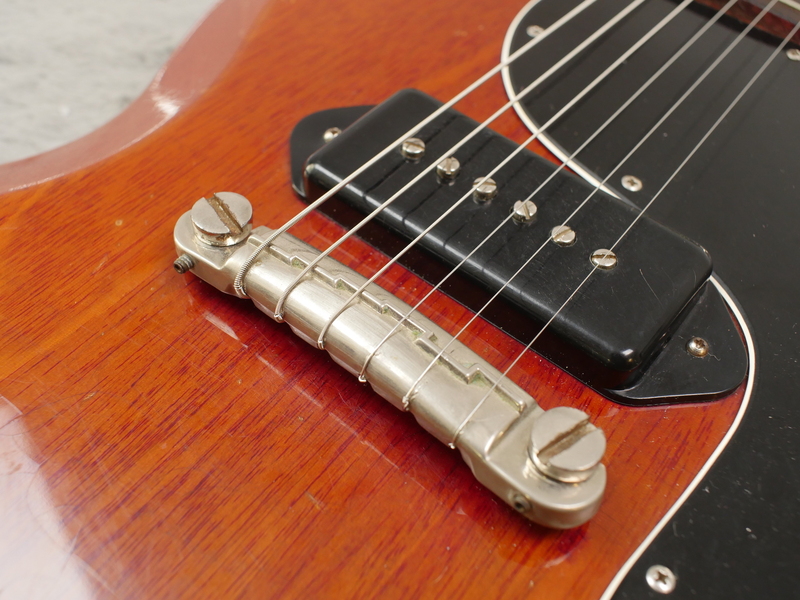 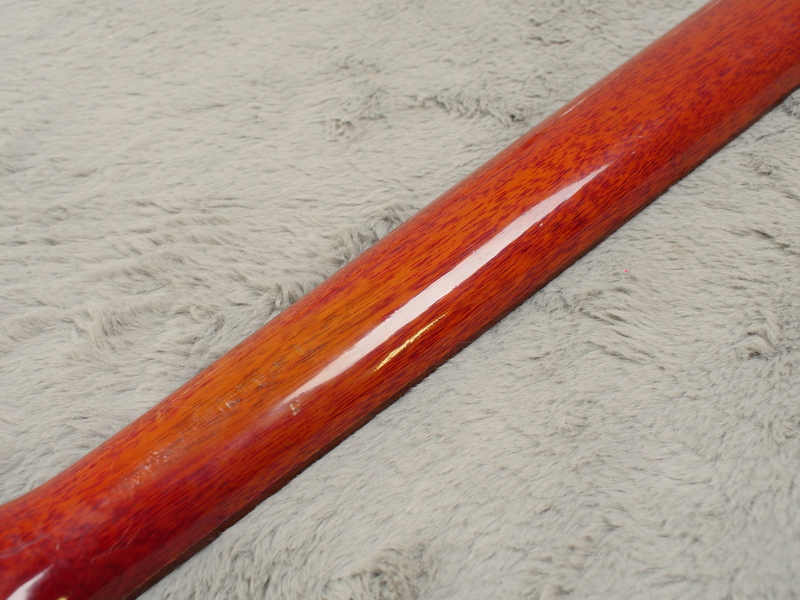 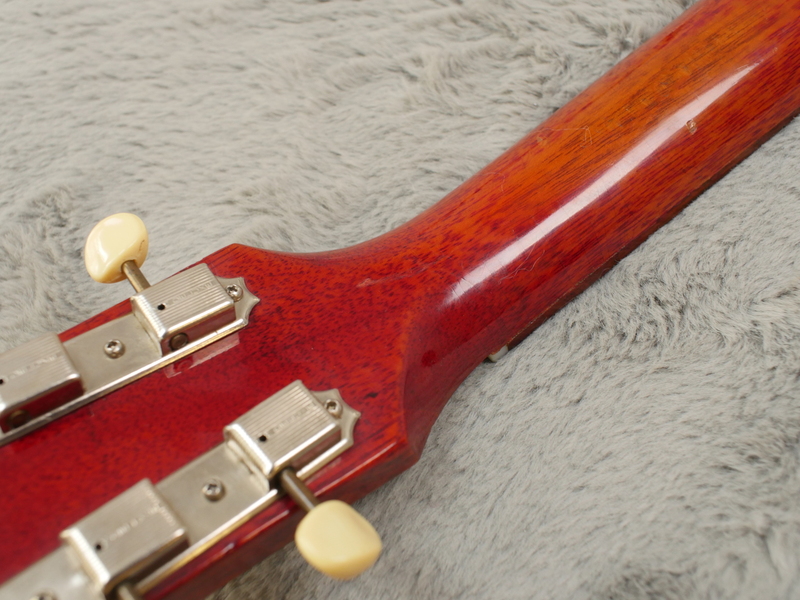 Most Les Paul SG Juniors tend to have the slimmer neck profile which is not to everyones cup of tea. 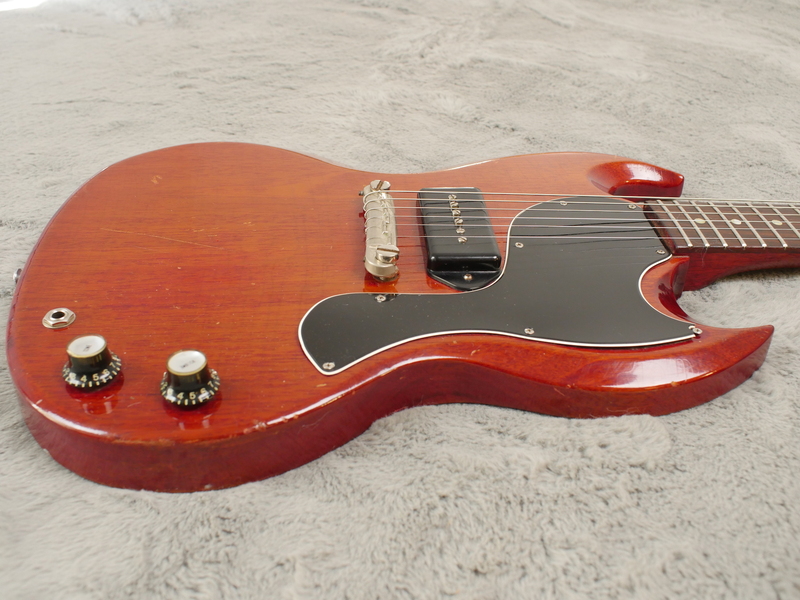 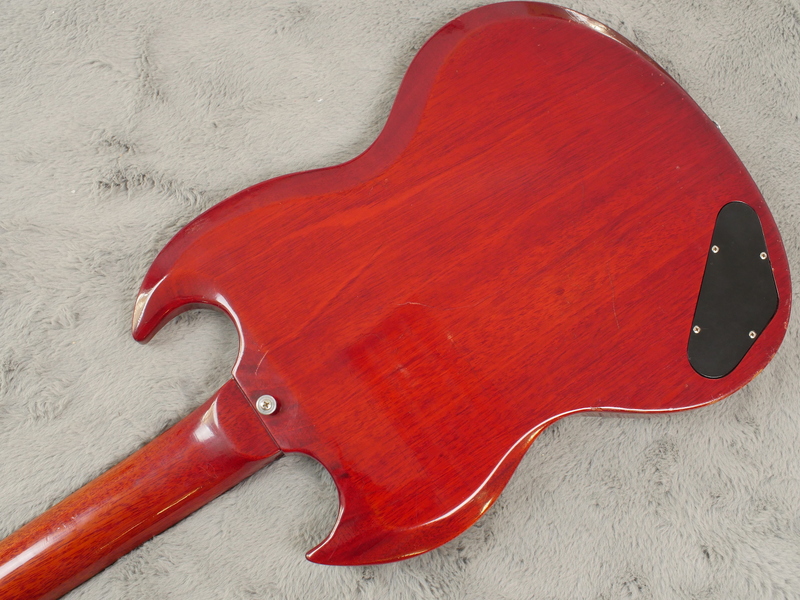 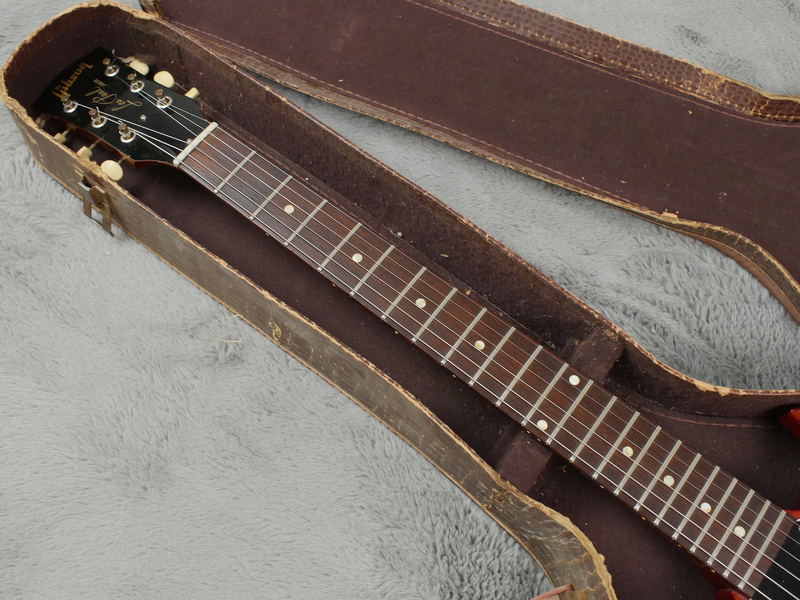 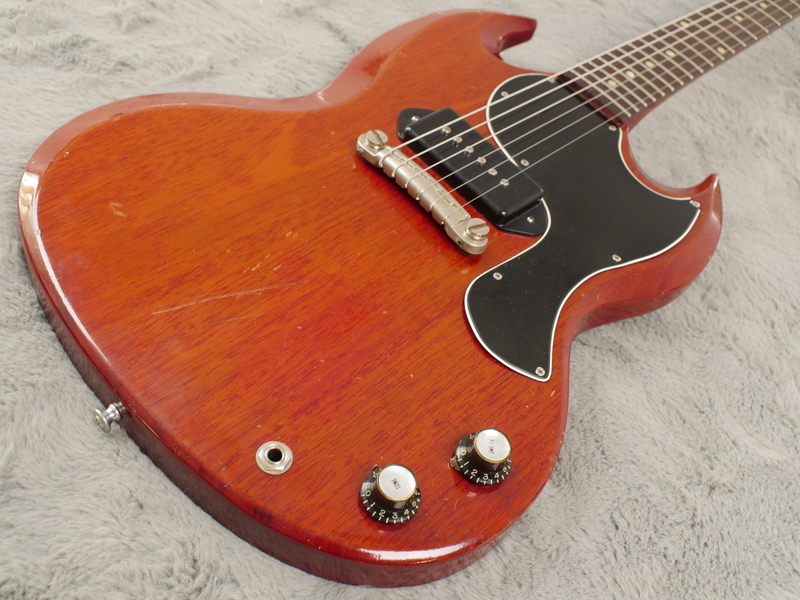 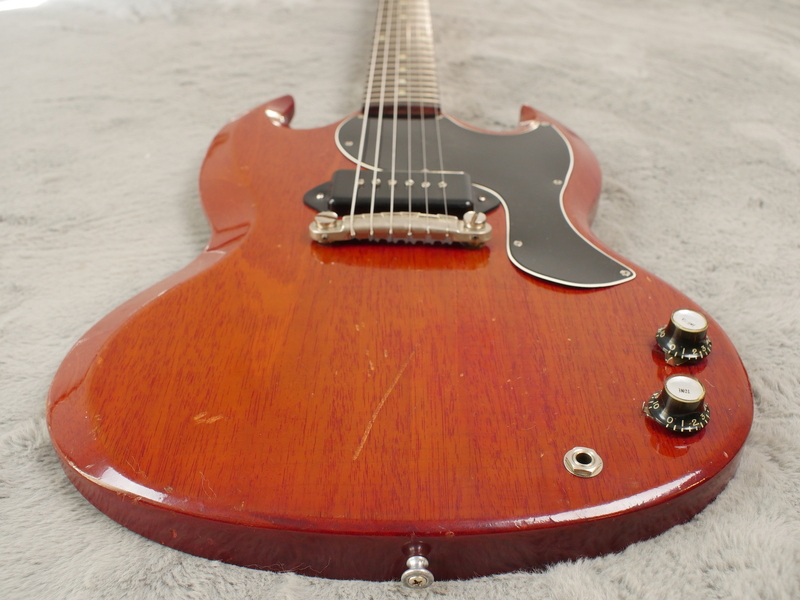 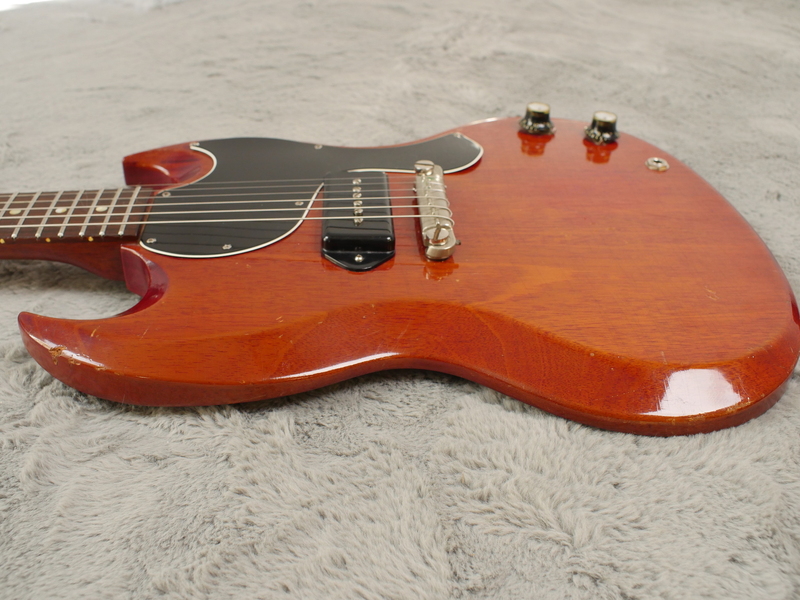 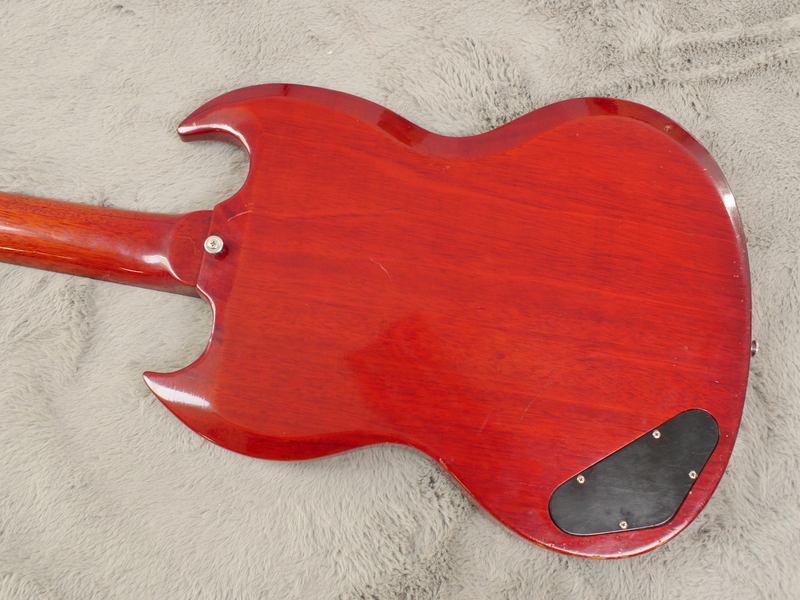 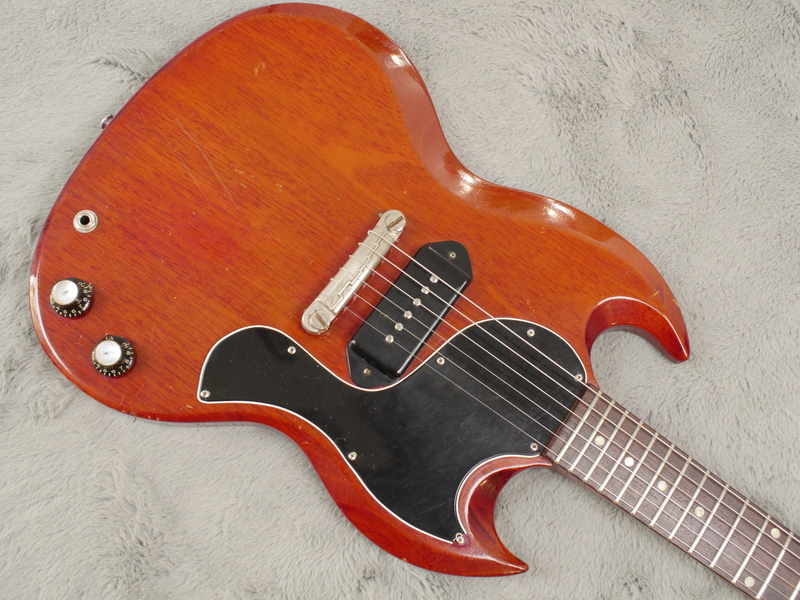 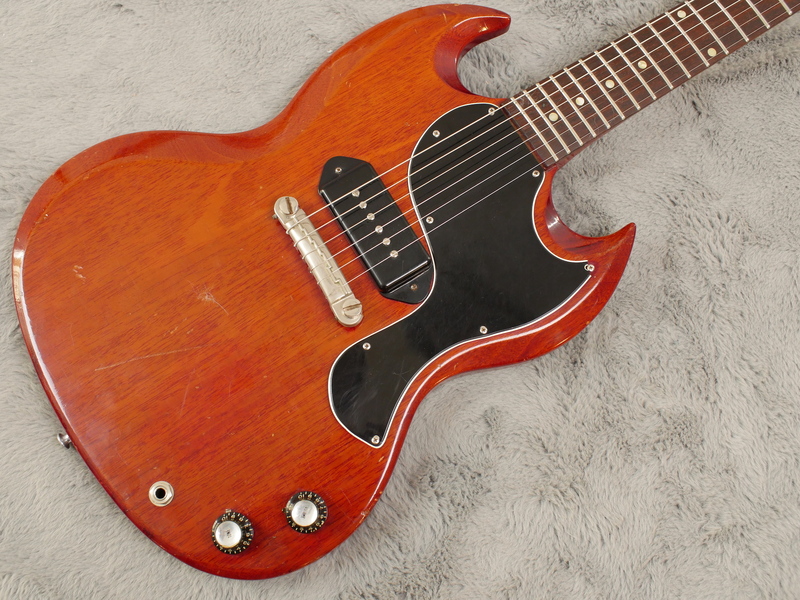 This one, is one of the few that left Kalamazoo in 1963 with the chunkier neck profile that you would normally expect to see on a 1964 Gibson and is probably, from a players perspective, the nicest incarnation of the Les Paul SG that came out. 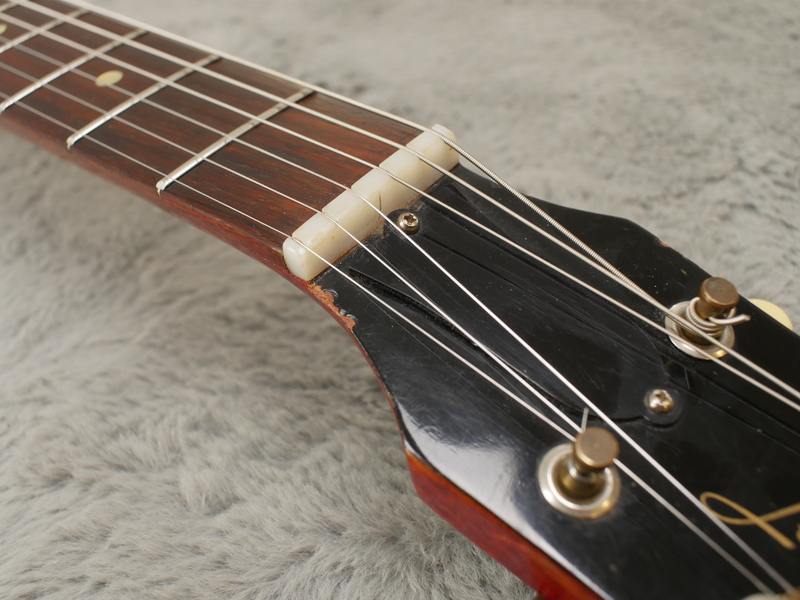 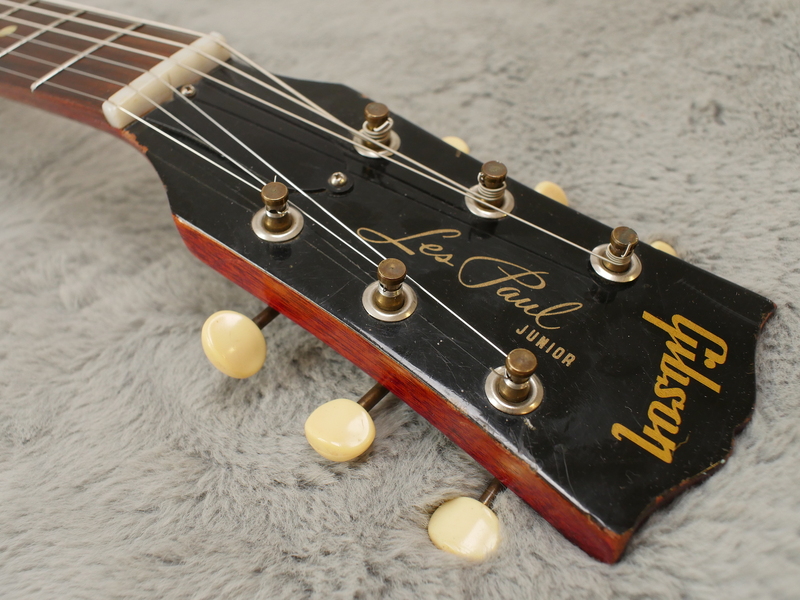 1963 was also the last year to have the Les Paul name adorned on the headstock. 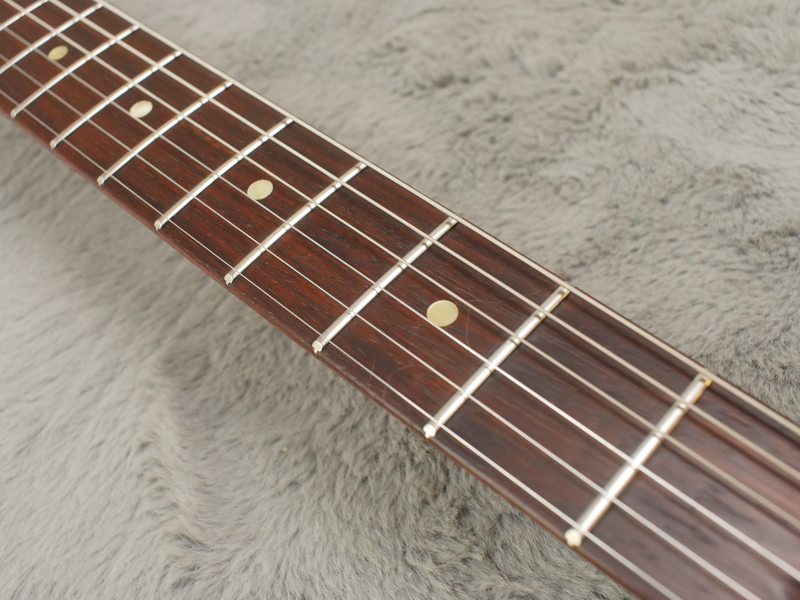 Everything is totally correct on this, we cannot see a thing that is out of place including the frets that are in really good shape. 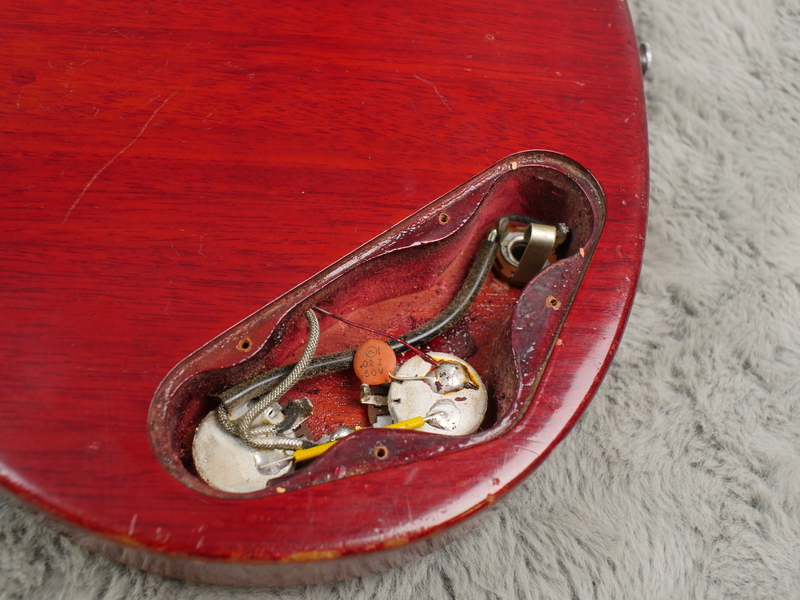 All solder is undisturbed and all hardware is present and correct. 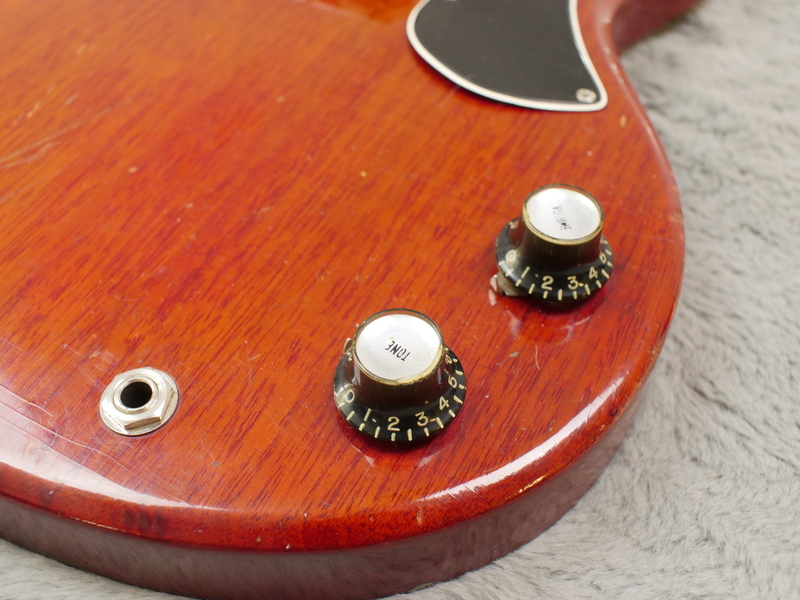 There are a few dings here and there and the tip of the pickguard has the usual bit broken off but overall it has not been abused, just played and it does have a good vibe about it, there is no doubt about that. 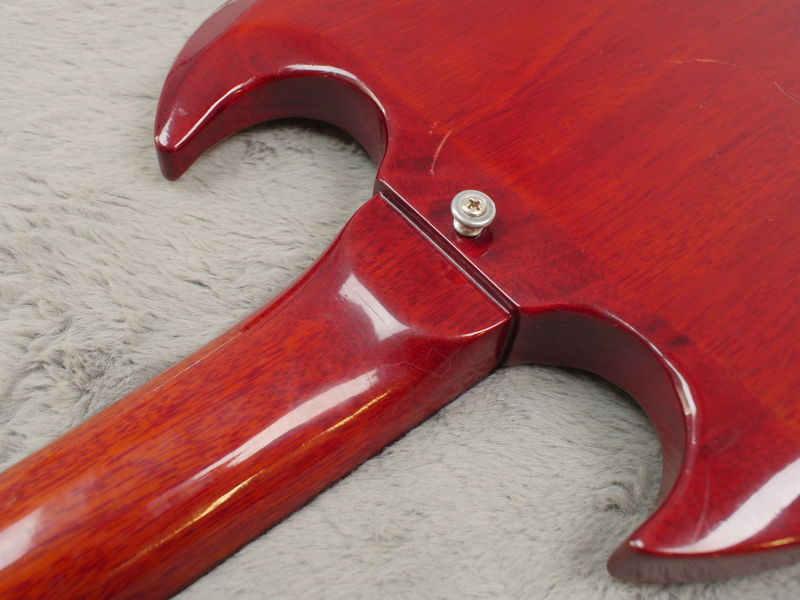 Please have a look at the many pics in our gallery page to see all angles of this very fine guitar. 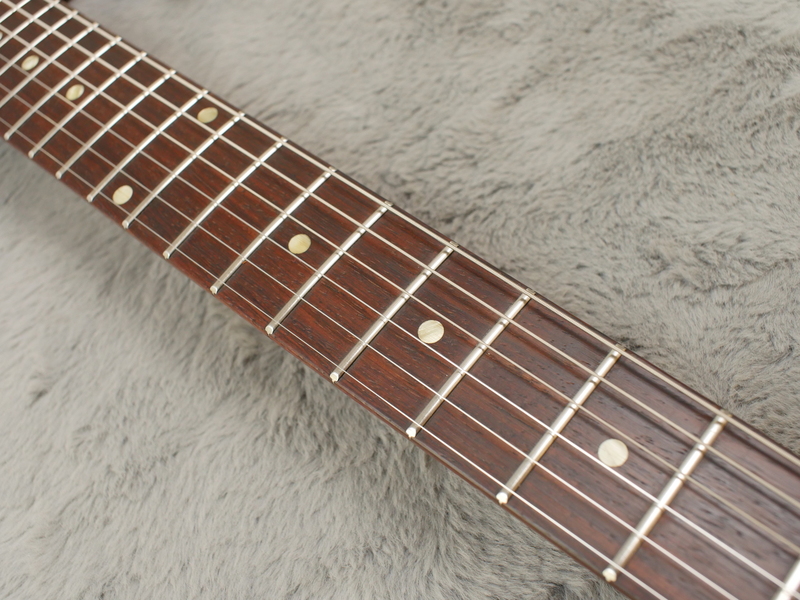 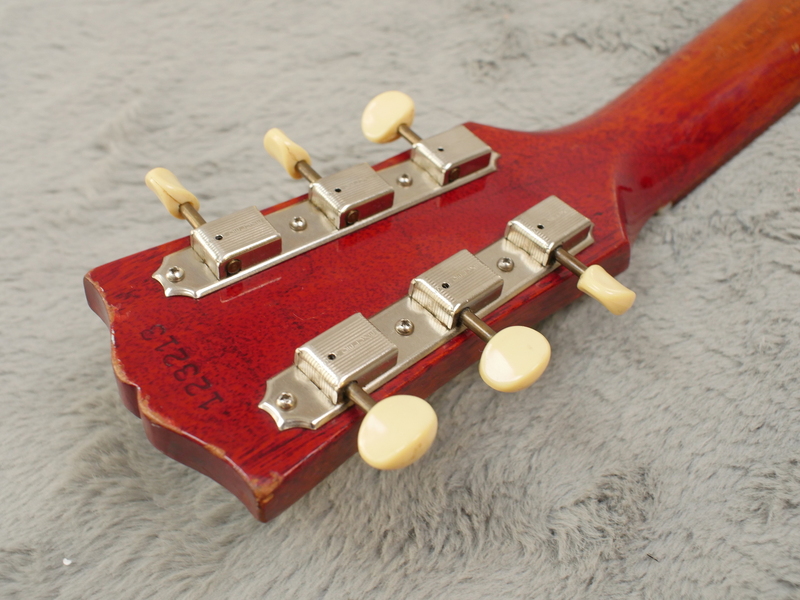 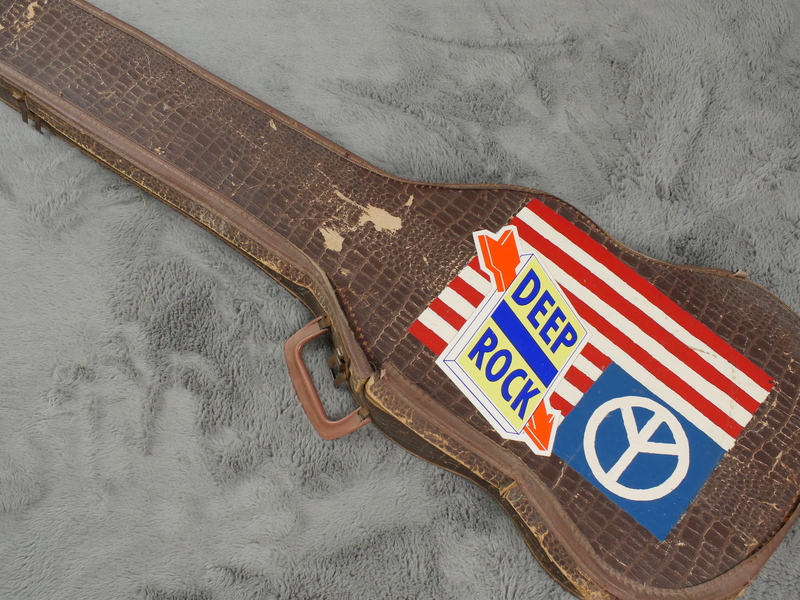 There have never been and breaks or repairs, or stress cracks anywhere and the finish is all original with no touch ups, overspray or any other nastiness anywhere at all on this and again for SG type guitars from the early 60’s this is also somewhat rare to find. 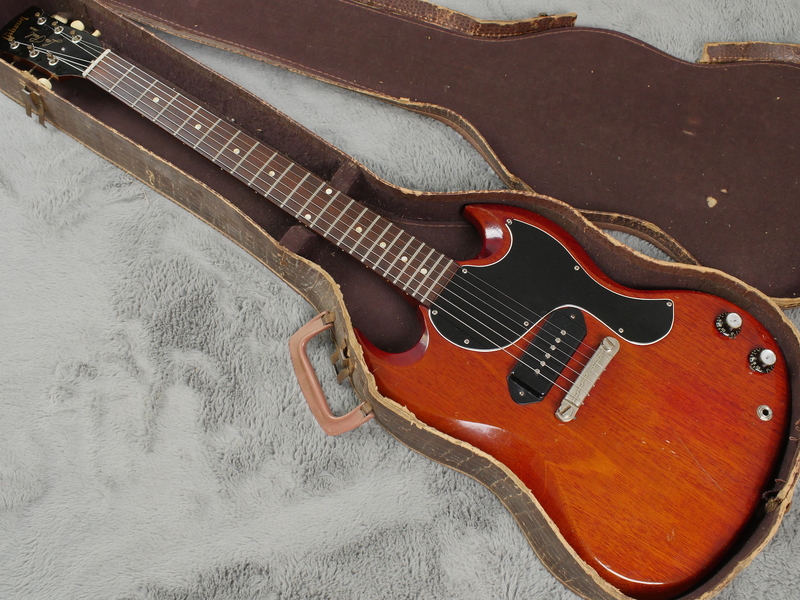 Included is a gator case in OK condition but at least it has the handle intact!